What creates a championship team? Spirit, determination, and a legacy that refuses to die. 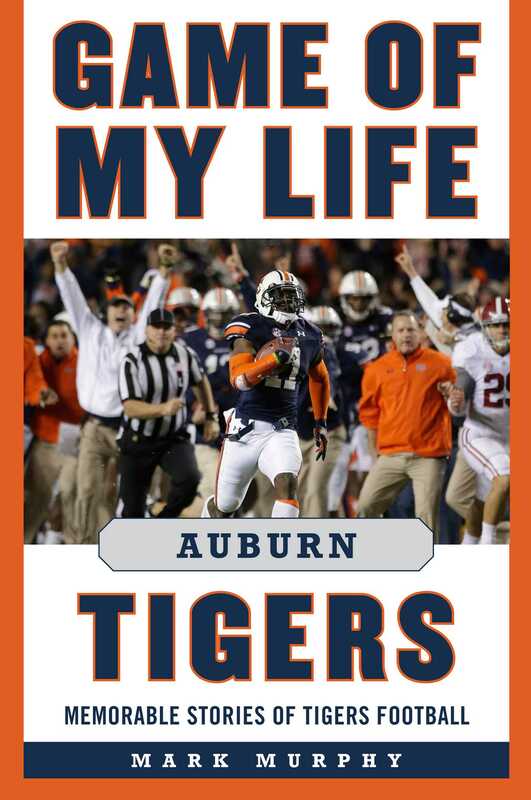 Game of My Life Auburn Tigers is a collection of the greatest Tigers moments from past and present as seen through the eyes of the players themselves. In this newly-updated collection, Mark Murphy has brought together passionate Auburn football players to share their fondest experiences and memories. Some of these games involve championships, including the heart stopping BCS Championship Game victory over Oregon in January 2011, while others seem ordinary save for extraordinary personal meaning. In each case, it is the player who singles out the game, the moment in time that to him is the most defining of his Auburn Tiger football career. Each player has his own unique story, but together they weave a tapestry of Auburn's legendary history. Heisman Trophy-winners Pat Sullivan and Cam Newton, along with many of the great names in Auburn history, such as All-Americans Jackie Burkett, Tucker Frederickson, and Chris Davis and fan favorites such as Joe Cribbs and Jason Campbell are profiled in this unique book. Game of My Life Auburn Tigers takes readers down memory lane, while also providing an in-depth look into the men and games that helped shape and build the Auburn football tradition and heritage. div>Mark Murphy is the editor of Inside the Auburn Tigers magazine and football newsletter as well as editor of AUTigers.com. An honors graduate in journalism from Auburn University, He is the sports columnist for the newspaper and a frequent guest on radio shows around the southeast and nation He and his wife Cynthia live in Auburn, Alabama.